Some time ago and post the launch of the very first iteration of the MyCRM download centre in 2011, MyCRM launched its very first version of ePDF. Today we are looking at the latest iteration due to be released early November. This next version of ePDF is a ground up rebuild, which not only matches the great functionality from the current version but extends the ePDF functionality to support creation against list views. This new functionality also allows users to bulk create email and send out attachments to multiple records where the ePDF functionality is installed. Furthermore bulk PDFs can be created and download into a Zip file, this could then be processed for printing and hard mailing. Our ePDF solution has always been designed as a productivity enhancement solution for a range of business sizes. With this release of ePDF we have included som marketing capability that enables your organisation to create emails with bespoke ePDF attachments based on a report that has been created. 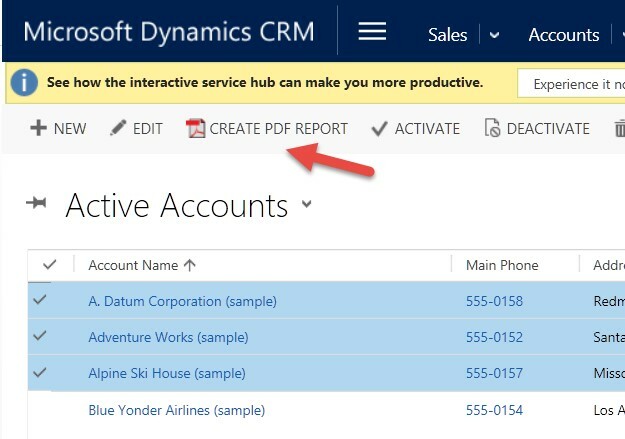 This great new functionality could also be used for bulk email billing based on a customer’s invoice in CRM. The interface for ePDF has also been redesign so that you now get an automatic preview of the selected report along with a number of options of what the output should be. 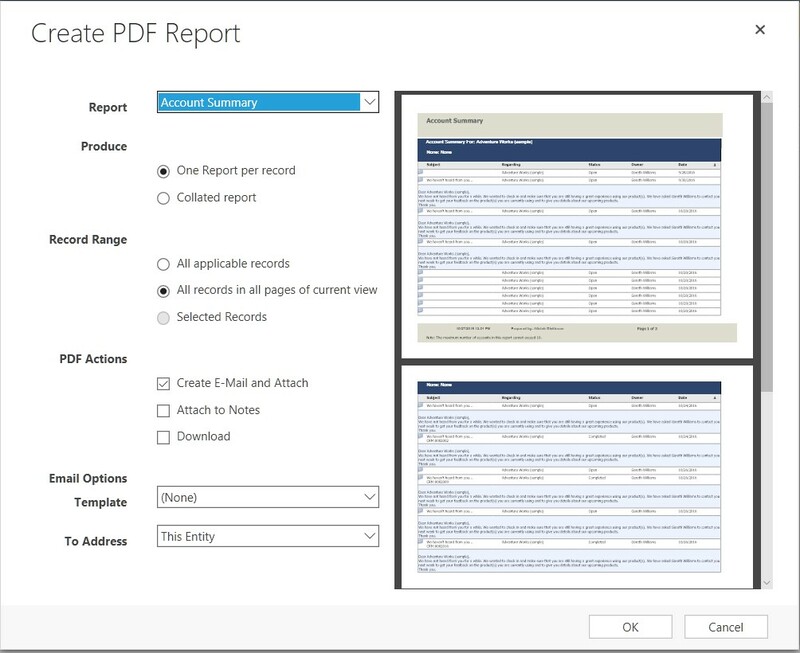 The first option is Produce this allows your end user to select if ePDF is going to create one PDF document or if a PDF is going to be created in bulk for all records selected. The next selection that can be selected from is Record Range, similar to exporting data to Excel from CRM the new version of ePDF enable that ability to define the records that are or which selection is used for the bulk creation. 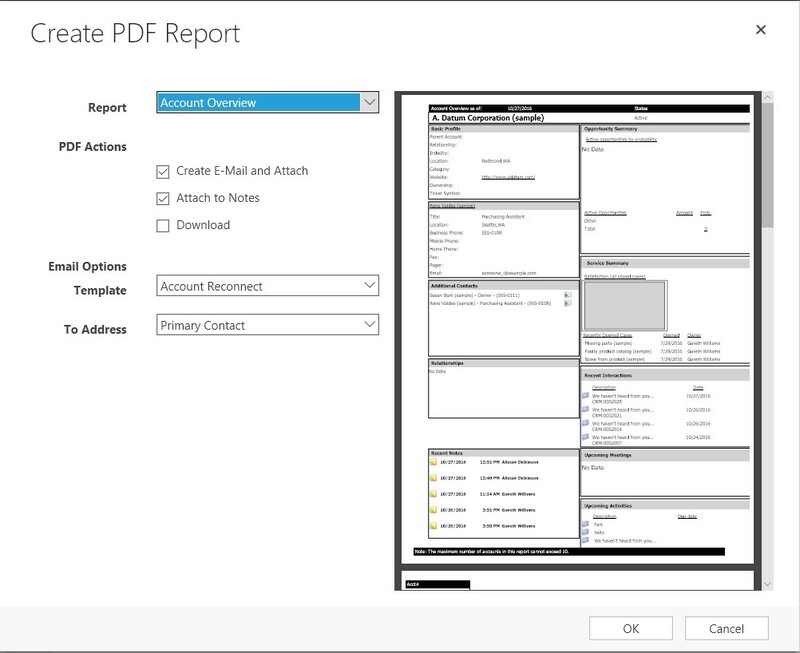 One of the great new features under PDF Actions is the ability to download a range of pre-created PDF files under the download section and this could then be used if a flyer was to be printed by and sent in the post to a customer. The new version of ePDF opens up new possibilities and enhances use of data in CRM, along with maintaining its original features for the first versions. ePDF also, now in this new release supports templates on emails and the ability to select who the email will be sent to. 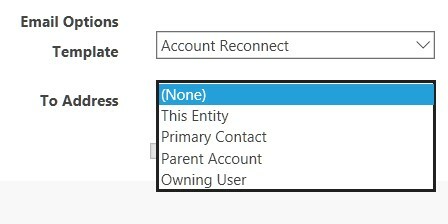 This can be found under the Email Options and gives even more flexibility when it comes to the output required. If you would like to take a trial of this new ePDF register here on the MyCRM Download Centre and from November 11th our latest version will be available. ePDF is available from MyCRM through the Download Centre application. ePDF has 4 licence bundles and these come as 10, 30, 60 and Enterprise user licences. We request you licence all CRM users and select the closest bundle that meets your user total.